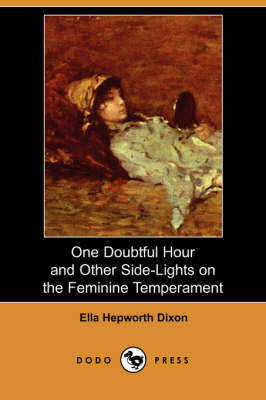 Ella Hepworth Dixon (1855-1932), also known as Margaret Waynman, was a British author during the late Victorian period. 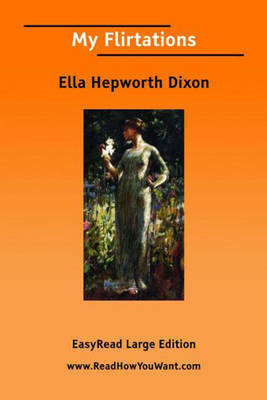 Her best known work is the New Woman novel The Story of a Modern Woman. This novel was published in 1894. She was born in London. Her father, William Hepworth, was an editor, and consequently, literature and the arts were valued in their house for the boys and girls. William's position also brought writers and thinkers into the house, including Geraldine Jewsbury, T. H. Huxley, Richard Burton, Lord Bulwer Lytton, Sir John Everett Millais and E. M. Ward. She received an outstanding education for being a young woman at her time, studying at Heidelberg and the London School of Music, as well as painting in Paris. In 1888, Ella accepted Oscar Wilde's offer to become the editor of Woman's World. She eventually also turned to playwriting. Her other works include: My Flirtations (1893), One Doubtful Hour and Other Side- Lights on the Feminine Temperament (1904) and 'As I Knew Them' (1930). 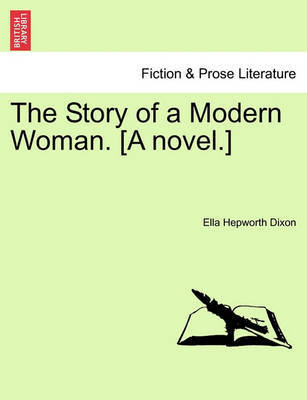 Buy The Story of a Modern Woman (Dodo Press) by Ella Hepworth Dixon from Australia's Online Independent Bookstore, Boomerang Books.